Welcome to another Sunday night CASEing the Catty Blog Hop. It’s been another busy week of work, classes and crafting. I’m definitely looking forward to a few days away in Auckland attending Stampin’ Up! On Stage Event. It’s just over 2 weeks away. This week at CASEing the Catty we are CASEing from the Needlepoint Nook section, pages 38-41. You may have arrived here from Shannon’s gorgeous creation, thanks for continuing on with me. Make sure you visit all the Design Team’s Blogs by clicking on the “next” button at the bottom of each post. I’m using inspiration from the card top right of the above graphic. Here’s a closer look. Needlepoint Nook is one of my favourite Bundles in the Occasions Catalogue. I used this suite in an ESAD Blog Hop last week. I’ve taken the concept of 3 panels of cardstock, a doily and some flowers. I’ve changed the orientation of the card to landscape and started with a card base of Powder Pink layered with Flirty Flamingo and Very Vanilla. My 3 panels of cardstock are Petal Promenade DSP. I’ve used the Very Vanilla side of a retired Lace Doily. I’ve fussy cut some individual flowers from the DSP and arranged them around my sentiment then added some Gold Foil leaves. The sentiment is from the Needle & Thread stamp set and is Gold Heat Embossed. Next up tonight is Rachel’s beautiful project. Just click on the “Next” button to hop right over. We’d love for you to join us for this challenge. Click below and send us a request to join then just upload your creation to the wall. This looks gorgeous with your divine DSP. Changing the orientation looks awesome. Love the gold Jean details too. I love what you’ve done with this, Peta! That DSP is just perfect for a panel card. And I never would have thought about fussy cutting those flowers but they look beautiful. Gorgeous CASE which I will be CASEing! Oh my, your card is so pretty! I find it hard to use those papers, so I may have to CASE your gorgeous card. How pretty is your card. I love that you turned the layout, looks fab!! Can’t wait to see you in Auckland. Use this code when ordering with me to share in the rewards at the end of the month. 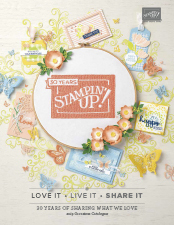 The content on this blog is the sole responsibility of Peta Stephen as an Independent Stampin’ Up!® Demonstrator and the use of and content of the classes, services, or products offered are not endorsed by Stampin’ Up!®. 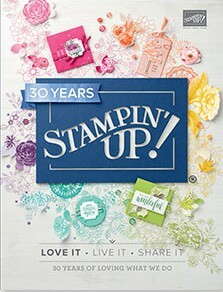 Peta Stephen Independent Stampin' Up! Demonstrator.